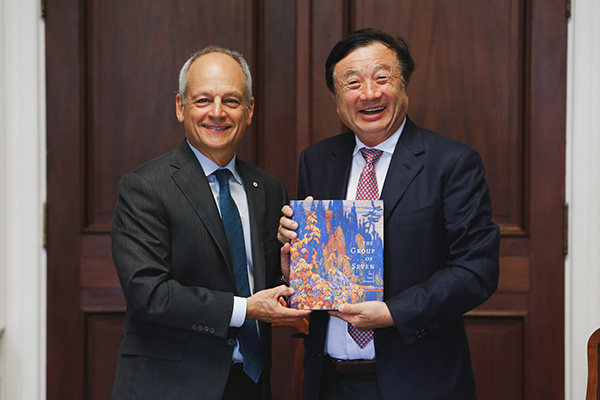 Chinese telecom equipment giant Huawei entered into a strategic research partnership with the University of Toronto more than a year ago, but it wasn’t until today that CEO Ren Zhengfei got to see first-hand how the mutually beneficial relationship has progressed. Flanked by eight Huawei representatives from Canada and overseas, Ren spent the morning at U of T listening to presentations by nearly a dozen researchers who specialize in fields that range from robotics to machine learning – many of whom enjoy Huawei’s support. Speaking through a translator, Ren outlined the telecom equipment-maker’s vision of a future in which sensors attached to all manner of devices, from smartphones to automobiles, are constantly vacuuming up valuable data from the world around them. “The sensing data will have to be computed,” he said. “But we also have to connect the sensing to the computing. In an effort to help realize that vision, Huawei signed a $3 million research partnership agreement with U of T in the spring of 2016. The collaboration supported a range of diverse projects, from optimized cloud computing to building next-generation internet structures. 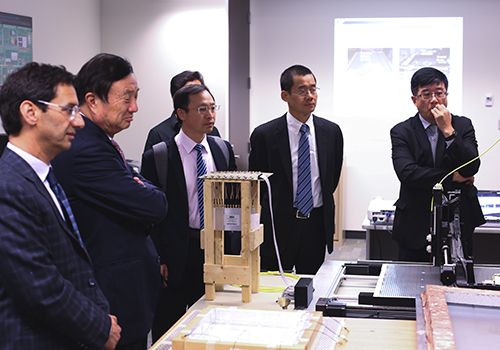 The partnership expanded on an existing relationship between Huawei and individual U of T researchers in the Edward S. Rogers Sr. Department of Electrical & Computer Engineering. They include Professor Wei Yu (ECE), who is working on designs for a 5G wireless network that would replace increasingly strained 4G, or LTE, networks. 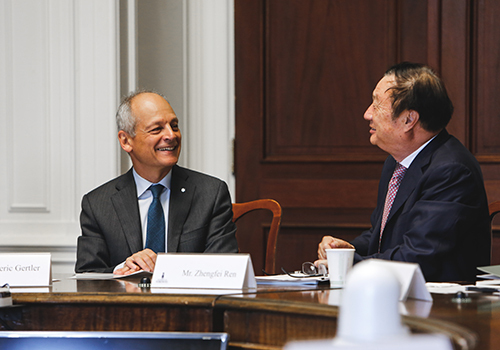 “We are delighted by your visit and we’re eager to continue building on our strong and growing relationship,” said U of T President Meric Gertler. 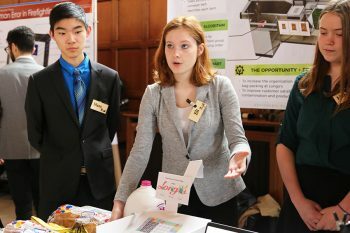 Gertler went on to explain how U of T, one of the world’s leading universities, is at the centre of a dynamic innovation and entrepreneurship ecosystem, producing more than 150 startups over the past five years. 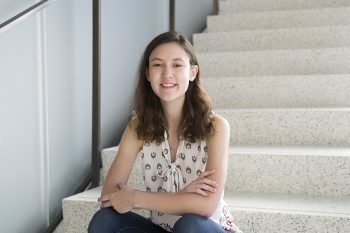 “Many of our startups are disrupting traditional sectors and shifting entire economic paradigms,” Gertler said, citing the impact of technologies like machine learning on the medical, legal and financial sectors. He then presented Ren with a book on the Group of Seven and, in turn, received a decorative vase. In part, he said that’s because Huawei’s staff researchers suffer from a “myopia” that comes from working inside a corporation that’s focused on turning a profit. University researchers, by contrast, can afford to be more far-sighted, he said. He compared it to the difference between seeing a few kilometres down the road and gazing at the moon. Ren, who founded Huawei in 1987 with the equivalent of a few thousand dollars, also stressed that Huawei’s support of U of T’s research needn’t be limited to writing a cheque. “We are also willing to open our company’s platform for research and share ideas,” he said.